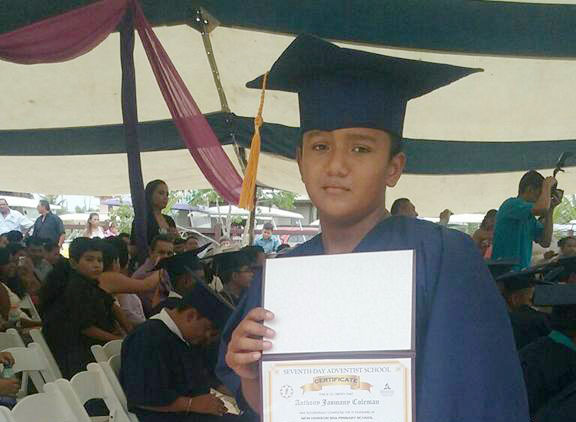 The family of a 13-year-old Antoney Acosta are desperately asking the community for help after their son was electrocuted. The young boy survived, but suffered severe injuries that resulted in the loss of both hands. He has been flown out of the country and is presently receiving treatment at a hospital in Guatemala City, Guatemala. Acosta is a student at the San Pedro High School who, due to financial difficulties, was only taking classes at night in order to help his parents during the day. His father, Winston Castellanos describes him as a well-behaved child who was dedicated to his school work. He and the family are devastated by this tragedy. It was a rainy day on Monday, October 17th when Castellanos’ son visited him at a construction site to deliver his lunch. He never imagined what he would find when he descended from the second level of the building where he works. Apparently, young Acosta came in contact with a live electrical wire, and when Castellanos found him on the ground, he was trembling and foaming at the mouth. Acosta was rushed to the Dr. Otto Rodriguez San Pedro Polyclinic II, and from there he was immediately flown to Belize City. Despite the efforts of the doctors, they could not save his hands which were greatly damaged due to the high electrical voltage he received. The child also received injuries to the head and chest area. He has since been taken to Guatemala for further medical treatment; however, the family is in need of financial assistance in order to cover the medical expenses. A fundraiser was initially held on Wednesday, November 2nd through Reef Radio. A substantial amount of funds were raised, however, it was not enough for the $10,000 needed. A second fundraiser is being planned for next week; as soon as the date has been cemented The San Pedro Sun will inform readers. Residents are once again asked to assist in any way they possibly can. Anyone able to donate directly to the family may contact Castellanos at 665-7708.